La Salle's Max DiMuccio went sub 16 minutes at Saturday's Injury Fund Carnival. There were few surprises at the Injury Fund Carnival as the usual suspects came out on top at Saturday's meet, held at East Greenwich High. 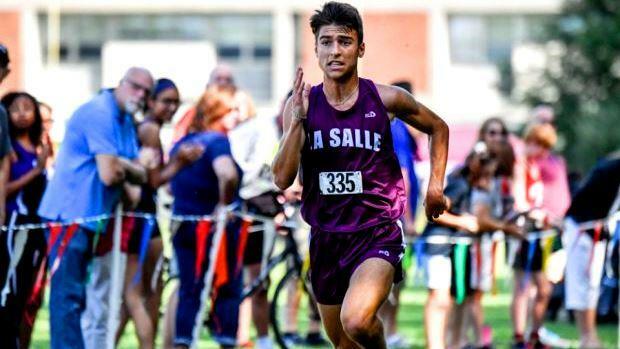 La Salle Academy junior Max DiMuccio, one of the leading contenders for individual honors at the State Meet in November, posted the fastest time of the day. DiMuccio covered the five-kilometer course in a winning time of 15 minutes, 57.27 seconds in the Greene Race. As a team, the Rams swept the first five placements en route to 15-62 victory over runner-up Classical. 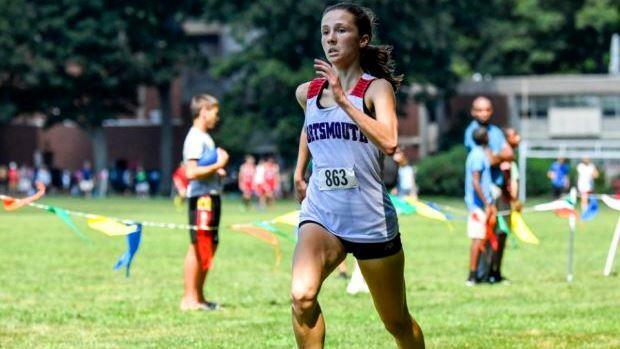 Portsmouth's Nikki Merrill outlasted teammate Elizabeth Sullivan to capture the Hindley Race, clocking a state-leading 18:22.07. Sullivan, who missed the final six months of her track season last year with a ankle injury, crossed the line in 18:24.97. The Patriots defended their crown, 25-48 over North Kingstown. Defending state champion Bishop Hendricken demonstrated its dominance in the Lipa Race by taking the top eight placements and 12 of the first 14. The Hawks were led by Jack McMahon, who was timed in a winning time of 16:03.97. Luke Henseler was second in 16:08.37. Aidan Tierney finished third overall with a time of 16:11.91. Hendricken defeated second-place Smithfield, 15-64. The East Greenwich boys and girls took home the hardware in their respective races. Fueled by an individual triumph from Leah Chace (20:11.15), the Lady Avengers squeaked by runner-up South Kingstown, 35-38. In the Katz Race, EG beat second-place Barrington, 40-72. Burrillville's Andrew McClure broke the tape with a time of 16:35.50. La Salle's McKenzie Doyle dominated the Sullivan Race. Doyle, a senior, finished with a time of 19:40.91, a comfortable 400m ahead of her closest competitor, Megan O'Kelly of West Warwick (21:22.72). The Rams claimed the top prize with 29 points. Coventry secured second with 61 points. In the most exciting race of the day, Saint Raphael's Nas Medeiros sprinted by Chariho's Tim Champlin with less than 50m remaining to win the O'Neil Race with a time of 16:59.79. Champlain was second in 16:59.95. North Kingstown took the team title by scoring 36 points. Chariho was second with 44 points. It was no contest individually in the Roy Race as Barrington's Caroline Livingston won by more than a minute with a time of 19:09.70. Adah Anderson of Cumberland finished second with a 20:15.94 clocking. With all five of their scoring runners among the top 14 placements, the Clippers took the team title by edging Barrington, 29-32.